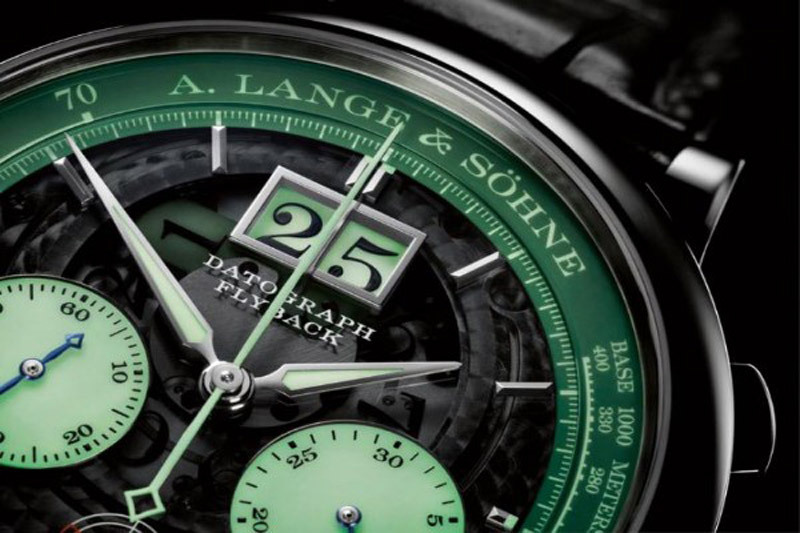 Incredible A. Lange & Söhne Datograph watch favorite among collectors celebrates 20 years next year. Although the original could be considered a pure watchmaker’s beuty, it missed the legibility of the dials and the use of the chronograph in the dark. 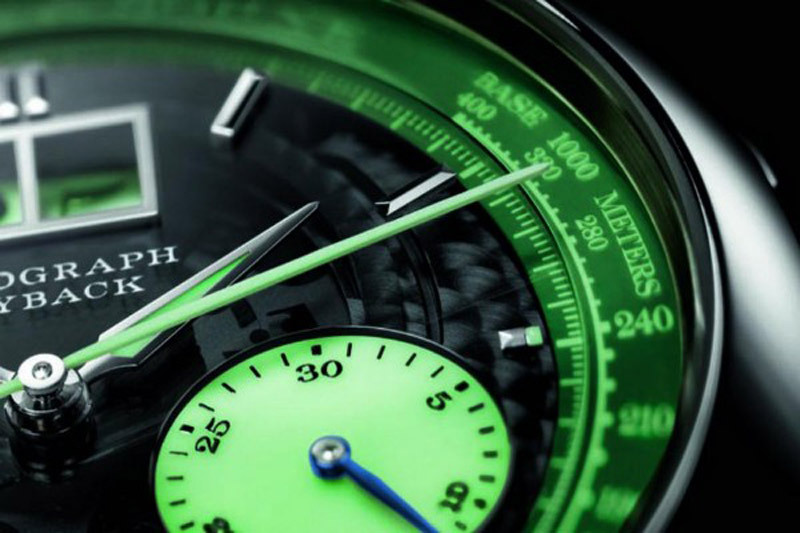 Germany’s top watchmaker brand introduced a new version of the watch that received a “Lumen” treatment. 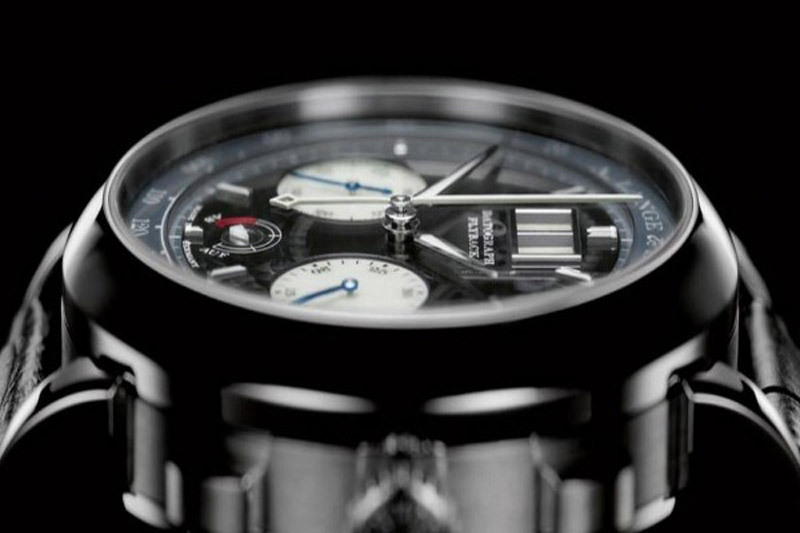 Nw Datograph Up / Down “Lumen” of platinum comes with a dial of tinted semi-transparent sapphire. What this treatment does is to filter most of the visible light, but allows the light pigments to be charged with light energy. The central part of the dial section is made of a tinted sapphire that gives a look to the main board and rotating discs below. In the dark, the screens shine with the contrast of the black background. New Datograph Lumen Up / Down watch also includes two sub-sequences and a 30-minute totalizer, a reserve power indicator, minutes and seconds for the whole rehaut with a tachymetric scale. All this gives the watch an incredible light in the dark. Everything else on this watch is the same. The back of the casing offers an incredible insight into the hand-caliber mechanism of the caliber L951.7. The watch is completed with a fantastic aligator bracelet with platinum clasp and is limited to a series of only 200 copies. Then you will probably not be surprised with its astronomical price of as much as €95,000.